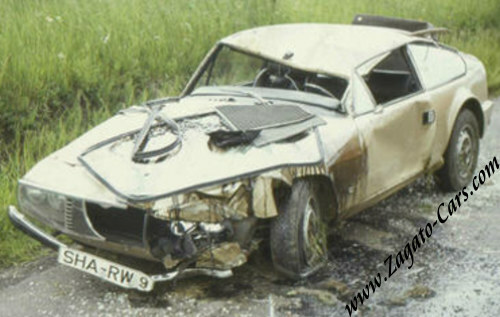 On this page, you will find pictures on unidentfied JZ's that were crashed. We would like to identify these cars to be able to update the register. 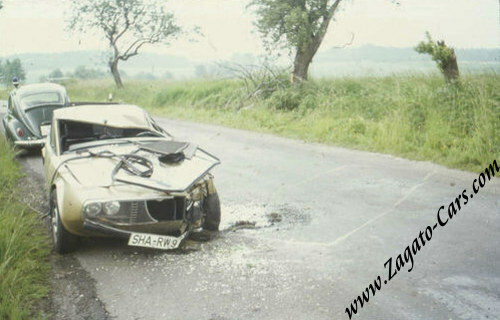 Who can identify these cars? 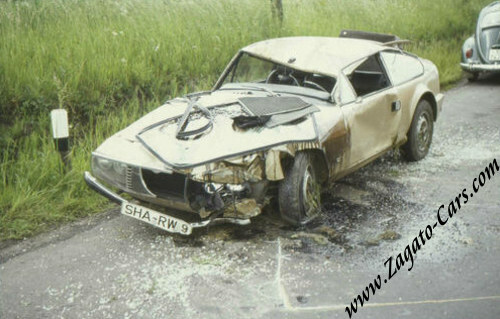 Thanks to Robin Leus for relaying these early 1970's photographs of a crashed Junior Zagato 1300 in Germany. 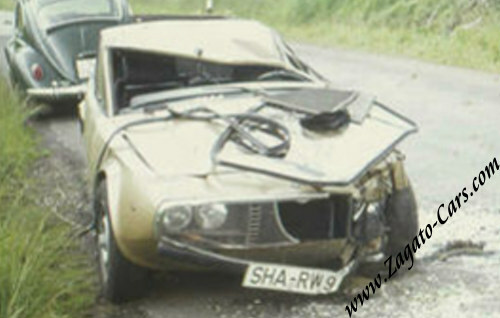 The car bear registration SHA-RW 9.
Who can identify this car?